The advent of the social media has helped people increase their outreach; thereby garnering unlimited fame across the world. While there are internet celebrities, cyber stars, online personalities; there are also the YouTube and Instagram stars including Alex Dorame. There has been a rapid increase in the number of social media stars and each offers great creativity as well as unique content. Alex Dorame was born in Tuscon, Arizona in the United States of America on March 25, 1998. She grew up along with her younger sister but not much is known about her parents and other siblings. Although she has featured her mom and younger sister in a Whisper Challenge in 2015; Alex hasn’t disclosed much information about them. She is one of those who enjoy keeping their personal life under the curtains. She holds an American nationality and her ethnicity is white. Developing a keen interest in modeling, beauty tips, and fashion from a very young age; Alex has been living out her dreams through the online video sharing community YouTube. The fast-rising star started her social media career in August 2014 when she opened her first self-titled YouTube Channel. She started by posting interesting contents and in less than three months, she notched about twenty-five thousand subscribers. Since then, her channel has continued to show significant growth and she currently has over 490 thousand subscribers. Dorame has won the heart of her many fans due to the originality of her videos and her consistency. She publishes hair dying tutorials and other interesting videos on her YouTube channel. Her most popular video is Text Prank On My Boyfriend – with Song Lyrics from Ariana Grande‘s Side to Side ft. Nicki Minaj. Asides YouTube, she is also popular on other social media platforms such as Instagram where she goes by the name PierceTheAlex. In addition, she also has more than a hundred thousand followers on YouNow. Interestingly, Dorame has been one of the most successful YouTubers between 2014 and 2016. Teaming up with her co-stars, Dorame formed a collaborative YouTube Channel titled MyDigitalEscape. The group made several appearances during the Vans Warped Tour. Other members of the group include Johnnie Guilbert, Shannon Taylor, Bryan Stars, Kyle David Hall, Jordan Sweeto, and Jeydon Wale. They have created trending videos including My Emo Scene Hair and Makeup Routine. In addition, Alex is also a member of another collaborative YouTube Channel titled Our World Away. The fabulous YouTube star is very pretty and talented; she has won the hearts of so many guys with her gorgeous looking physique. 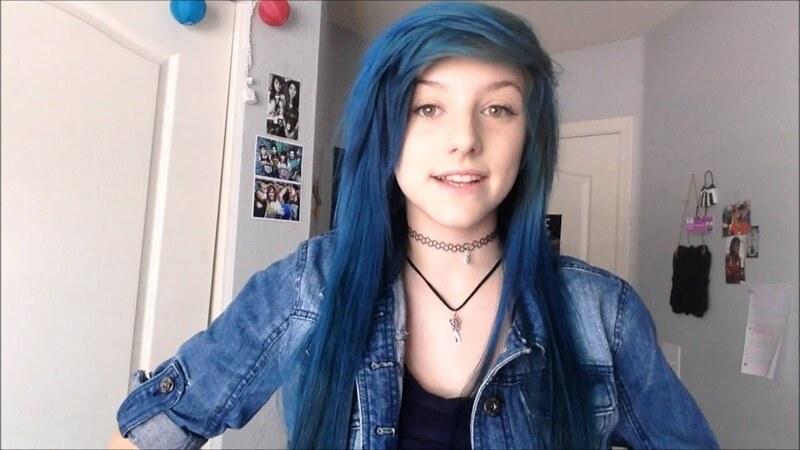 She has been in a relationship with a fellow YouTube star named Johnnie Guilbert. Johnnie was born in San Jose California on August 28, 1997. He grew up alongside his brother Josh Guilbert and sister Margret Guilbert. He joined the online video sharing community in November 2013. The pair has been together for over two years and has featured on My Digital Escape collaborative videos. In addition to his YouTube career, Johnny is also a Vlogger, actor, singer, and songwriter. Seeing the on-screen chemistry between those two, you’d believe it when we say that they are so in love with each other. They are currently living together with their pug named Lola and are focused on getting to the peak of their respective careers. We wish them the very best. Alex Dorame has a wonderful physique as well as an attractive personality. She is of average height, standing at 5 feet 5 inches which is the average height for American women. Alex has body measurements like that of a model. She makes sure she stays on healthy dietary plans so she could appear smart in front of her audience. In addition, she has hazel eyes and dark-brown hair color. Her breast, waist, and hips measurements are currently not available.